I would like to take this opportunity to thank my lovely happy readers for all your support during 2014. If you are interested, the WordPress.com have prepared a 2014 annual report for this blog which rather interestingly shows who the top commentators were and the most popular Blogs. Wishing you all a very HAPPY New Year filled with love & happiness and if anyone has any topics/ideas for Blog posts in 2015 please feel free to comment. Last week I was out with a work colleague and we started to discuss whether or not we would be making any New Year resolutions. She said that one of her resolutions was going to be to laugh more. I thought that was an absolutely fantastic resolution and one I am also going to adopt, it is an easy simple resolution. We are going to be the extra happy ones in the office. However I did think to myself that it was rather sad that we have to make a conscious decision to laugh more. Yes we laugh when we are watching or listening to something funny or are with our friends and family but imagine how much happiness could be spread if we laughed even more. I started to think back to when I was a child when laughter came easily, in fact more time was probably spent laughing than anything else. It is thought that children laugh more than 300x a day compared to adults who laugh less than 20x a day, although I could not find any facts to back this up. As we grow up and as our responsibilities grow there can sometimes be a tendency to take life too seriously and we forget that we are here to enjoy life as much as possible, after all we only get one. Life shouldn’t be difficult but we sometimes make it so with the goals we set ourselves, and as a result, other important things take a back seat, like spending time with our families and children or developing and doing things we enjoy. With all this we can sometimes forget to laugh as much as we used to. Also at this time of year when colds and ‘flu are rife, smiling and laughing can in fact boost our immune system, it can give us more energy and can also reduce stress not to mention it helps us to relax. Laughing more can also improve our mood and adds joy to our life, it can defuse a conflict and can strengthen a relationship and attracts others to us. People want to be where the laughter and happiness is. I recall a couple of years ago a TV channel showed comedies on a Monday night rather than the usual two part crime dramas. I would come home from work and really laugh at the programmes, I thinking to myself why more TV channels didn’t have a comedy night on a Monday rather than the usual Friday night. It really lifted my mood especially if I had had a tough day at work. There is also an advert on TV, I can’t recall what it is advertising, but it shows various babies really laughing, wherever I am in the house or whatever I am doing it never fails to make me laugh and just goes to show how laughter can spread. The best thing about laughter is that it is free and can raise our spirits much more than anything else. There are many ways to increase our happiness and laughter is one of them. We should all try to take life less seriously and laugh more. So as the New Year approaches and whether you are the kind of person to make resolutions or not wouldn’t it be great to laugh more and spread happiness wherever you go. Think of it as angel dust, everywhere it is sprinkled you spread a little happiness. A smile and laughter, rather like a yawn is infectious, it reverberates. “You don’t stop laughing because you grow old, you grow old because you stop laughing”. – Michael Pritchard. 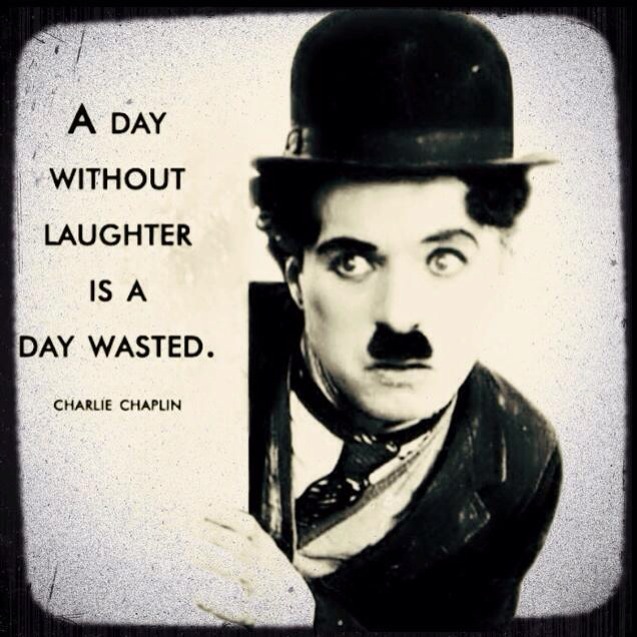 I would love to hear from you if you agree that laughter really is the best medicine for life. Wishing all my lovely readers a very happy new year filled with love and laughter. Lets make 2015 a year of happiness and laughter. Yesterday I put my Christmas tree up and as I placed the Angel at the top of the tree I stopped to think about the Christmas story and thought about the meaning and presence of angels at Christmas time which there are many. 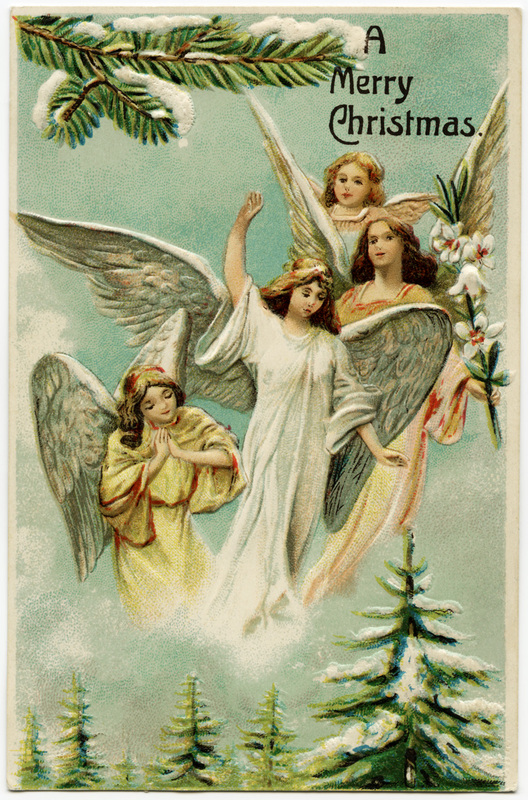 Angels play an important role in Christmas celebrations. The word, “Angel” is derived from the Hebrew and Greek words which simply means “messenger”. Almost every character in the Christmas story seems to have had an encounter with an Angel. It was the Archangel Gabriel who brought Mary the message that she would be giving birth to a son “Jesus”. When Joseph discovered that Mary was pregnant but not with his child he was not happy to say the least, but it is believed that an Angel appeared to him in a dream and informed him that Mary was a virgin and she would be giving birth to a son and they were to name him Jesus. Joseph decided to do the right thing. It is also thought that a small group of tiny Angels were on a special assignment to watch over and guide Mary and Joseph on their journey to Bethlehem. The Angels sang songs of thanksgiving which were believed to be heard in all four corners of the earth. 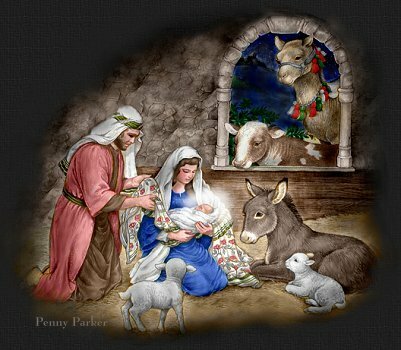 Once the baby was born, the Angels took the news to the shepherds and this is explained in the Christmas carol While Shepherds Watch their Flocks by Night. Many of our Christmas carols feature Angels and my particular favourite is “Hark the Herald Angels Sing”. There is also the story of a new star that appeared in the sky which guided the three wise men to Bethlehem so they could bring their gifts of Gold, Frankincense & Myrrh. Whatever your religious beliefs, I truly love to read about the Christmas Story and how Angels are woven into it and they all merge in beautifully with our Christmas carols. Wishing all my readers a wonderful festive period and a beautiful Christmas and remember to spread some love, happiness and look out for the Christmas Angels, they truly are everywhere. Last week a friend shared a list “The Greatest Books of All Time” voted by 125 famous authors (http://www.theatlantic.com/entertainment/archive/2012/01/the-greatest-books-of-all-time-as-voted-by-125-famous-authors/252209/), but at the same time mentioned we were all probably fed up of lists. I started to think about lists and asked myself whether I was fed up with them and the answer was no I wasn’t and if anything not only do I like making lists I like reading them too. I don’t write lists for every single thing, especially things where I know I would benefit from a list such as a good old sensible “shopping list” which would mean I wouldn’t run out of essential items but I do use a “to do list” at work to make sure I don’t forget anything that is asked of me. I also write lists for goals that I want to achieve, I have also been known to write a list of Pros and Cons of staying in a situation or not. I always find seeing a certain situation in black and white helps me put things into perspective and usually the list is top heavy on one side so helps me with any decision making. There are of course the items that always permanently feature on my “to do list” and in no particular order which are Ironing, Filing and the dreaded Tax Return. As you can probably imagine these items are my least favourite and only get ticked off when the deadline is looming. For example, if I have run out of clothes to wear I have no choice but to do the ironing, or I cannot find the MOT certificate for my car then I know its time to do the filing. As Christmas approaches which is a busy time for anyone, there are more lists being written than ever. I believe making lists puts some kind of order into our lives and allows us to focus our minds, especially at this busy time of year when there is so much to be done. There’s the Christmas card and present list, after all we wouldn’t want to forget someone, young children are carefully crafting their Christmas lists and sending letters to Father Christmas. List making can be fun. Any internet search will reveal many lists, such as 101 ways to do this or that. 100 films to see; 100 books to read, 100 things to do before you die and I wonder why we like to see things listed. Another thought about lists is it’s a way of capturing and recording facts and events for the future, so they live on. Rather interestingly, Umberto Eco (novelist and philosopher) who once curated an exhibition at the Louvre about lists told Der Spiegal “How, as a human being, does one face infinity? How does one attempt to grasp the incomprehensible? Through lists, through catalogs, through collections in museums and through encyclopedias and dictionaries. … It’s a way of escaping thoughts about death. We like lists because we don’t want to die,” Eco says. I can understand why we have a need to catalog some events and collections but for me the reason I make lists is because I am trying to create some order into my life and to make sure I don’t forget anything. Are you a list keeper? Do they help keep your life in order or are you one of the lucky people that can keep everything in their heads? I would love to hear your thoughts. Wishing all my lovely readers a week filled with love and happiness and Christmas Angels that are beginning to appear at the top of Christmas trees. Last week, being rather short of time I asked some of my lovely readers for ideas for last week’s Blog. A couple of suggestions were based around Christmas from preparing for it and why putting up the Christmas decorations makes us feel so happy. So this week now that we are well and truly into December I am going to write about some of the traditions and things that we love and enjoy about this festive time of year. Magazine articles start to appear showing us how to enjoy a perfect Christmas. There is so much pressure placed upon people to have the “perfect Christmas” particularly on parents. As a result, I know for many it can be an extremely stressful time making sure everything is absolutely perfect, turkeys to be ordered and cooked, not to mention the Christmas shopping for presents. Sometimes there are arrangements to be made to collect other relatives who are less able to get around. Also in the lead up to Christmas as the shops stock pile their goods high I wonder about the excess as I see people frantically filling up their supermarket trolleys on far more goods and food than they will ever need. Adverts start appearing as early as October geared at young children so they know exactly what they want for their presents. I sometimes ask myself whether we have forgotten the true sense of why we celebrate Christmas. I also give thought to all the people suffering in the world or people who are homeless or alone and I realise how lucky the majority of us are. So when I write my Christmas cards I make a few small donations, for example, to the young girl at London Bridge who is out there every day in all weathers 52 weeks of the year selling the Big Issue. We should remember Christmas is a time for giving, especially those less fortunate than we are and not just to those close to us. One of the most important things for me, is it is a time when friends and family come together and, if we are lucky enough to have time off from work, we can spend time enjoying each other’s company and generally slowing down. Equally it is a time for reflection and more importantly for giving. Whilst putting up the Christmas tree I like to play Christmas carols to get me into the festive mood. Then once the Christmas tree is up I take time out to slow down and watch Christmas films such as Love Actually but my particular favourite is the classic film “It’s a Wonderful Life” which again gives me a reality check. If you have never seen this film I highly recommend it. It is about a man called George Bailey who falls upon hard times and is contemplating ending it all. An appearance by his Guardian Angel reminds him how his kindness has touched so many people’s lives in his hometown of Bedford Falls. It is a beautiful film on so many levels and is a timely reminder for us to count our blessings. 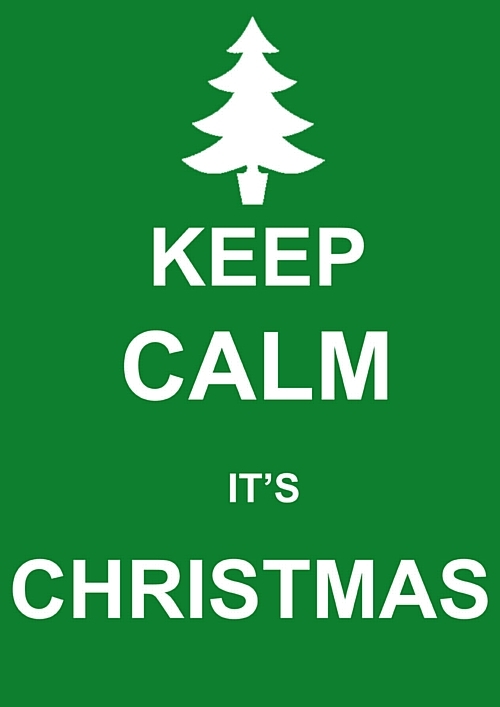 So back to why preparing for Christmas and putting up the decorations makes us feel so happy? For me I remember Christmases gone by, spent with loved ones who are no longer with me, and my wonderful childhood Christmases. I love to be around children and take so much pleasure in watching them enjoy Christmas as much as we did. I love to watch nativity plays where children of all ages are involved in recreating the scene at Bethlehem where Baby Jesus was born. Proud parents watch their children even if they do perhaps forget their one and only line. It is a special time and churches up and down the country hold special crib services with live animals trying to recreate the scene at Bethlehem. Christmas is a time for giving, it is a time of hope, joy, love, happiness and peace. Today I heard on the radio the song by Johnny Mathis “When a child is born” which to me captures the spirit of Christmas perfectly. Remember the “Perfect Christmas” isn’t one that is dictated by a TV advert or a magazine article it is what you make it. Perfect for just you, your family and your friends – we are all different. Although as I sign off this week, I must confess that I’m dreaming of a White Christmas. I would love to hear what you are wishing for or dreaming of for Christmas? For the month of November, I have been taking part in something called Nanowrimo, which is a worldwide project for people to write a novel in a month. There is to be no editing it’s just to write and the goal is to complete 50,000 words, more if you really want to push yourself. That equates to 1,667 words per day, which is achievable assuming one writes every day. However I got a little bit behind and had to work very hard yesterday when the final deadline for the word count and novel had to be submitted. I am very pleased to say that I achieved it. As a result however, this week’s blog took a little bit of a back seat. I hadn’t even decided what to write until yesterday evening. So I asked a few friends and one friend suggested “New Beginnings” so this week’s Blog is dedicated to that person in Kenya. She suggested I base it on a new horse that I now have, but we’re only starting on our journey together so it’s hard to say too much about our new beginning. However, he has already reminded me of a valuable lesson. When riding him for the first time this weekend I realized that he is very different to my current horse which I have had and ridden for 18 years. My new horse is still a baby and needs to be treated and ridden differently, especially as we do not know each other yet. He hasn’t built up his trust in me that my other mare has and he is relying on me. So when riding him for the first time I noticed he was extremely sensitive. I had to be very careful with my instructions to him so he was very clear in what I was asking him to do. It is a new beginning and we have a long journey to make but if anyone is interested I will keep you posted. The thing for me is and I think I’ve mentioned this in the past is how we learn a lot from our animals and this is a classic example, because it got me to thinking how every situation in our lives is different and how we are all different as human beings. Some are more sensitive than others and some of us react differently to different situations, some of us are happy and positive and others aren’t so. So what does a new beginning mean to you? I always think of fresh starts, new places, new people, new faces, a new year, spring, the birth of a lovely new born baby, but a new beginning can also mean a new way of thinking or looking at things. Even my 50,000 word novel is a new beginning because a fresh idea for my book was born and I wrote about it. Sometimes if something bad happens to us, it can in some cases, have a very negative impact on us and affect how we face things in the future, especially in certain situations. For example if we have a car accident that might affect whether we want to drive again or make us a very nervous driver or passenger in the future. It is the same with riding and as they say if you fall off you should get back in the saddle immediately and I can understand why. Alternatively, if we’ve experienced a bad or failed marriage we might assume that any new relationships will end the same way and try to avoid them in the future. This is not the way to live our lives. We are here to be happy. I am sure many people who have been in these situations can testify that that is not the case and by letting go of any negativity associated with old hurts or situations we are able to move on to create many happy new memories and new beginnings. That’s why people do get married again for the second or third time, because they have hope and have put their past behind them. We are all different, unique and react to different situations. My new horse has demonstrated and reminded me of this, but the important thing to remember is we should keep an open mind, embrace new thoughts and new ideas. By doing this I believe we can have a much more positive view of life and achieve great results. No two situations are ever the same and every situation should be handled on its own merit. For example we sometimes compare things and say “it’s not like so and so or when such and such happened” but what a boring world this would be if everyone or thing was like “so and so” or history kept repeating itself like Groundhog Day. I think we need new beginnings to move forward and to have the lives we want to enjoy, without them, life would be quite dull and I actually believe that if we enjoy life and are happy new beginnings are created for us. There is a saying by Lao Tzu that “new beginnings are often disguised as painful endings”. I would love to hear from my lovely readers on what they regard as a new beginning and what they are looking forward to. On that note, I would just like to add that as I write this week’s Blog it is the eve of the start of Advent which is another new beginning. We are actually surrounded by new beginnings as life renews itself. Wishing my lovely, happy readers a great start to the beginning of their week.